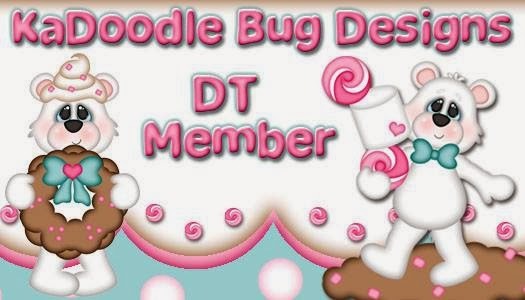 Welcome to the My Life in Arts’ n Crafts’ Design team blog hop. You are starting in the right place. 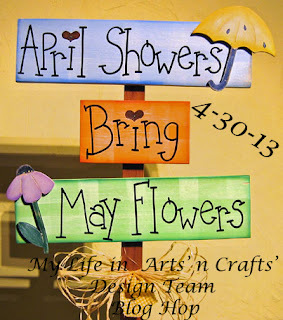 This month I asked my team to create something using the My Life in Arts’ n Crafts’ ribbonor twine which is available here, with the theme April Showers or May Flowers. I'm really having Fun with the paper piecing and tear bears. I used a lot on this card its quite busy. the paper is from Echo Park it's the "Everyday Eclectic"
I used Mulberry paper which I got on Ebay. The stamp is from Scrappy Moms "Fun Celebrations"
The Twine is the New "Blossom Irredesent"
I used the Teddy Bear and the Rainy Days outfit. I am giving away your choice of three bundles of twine. 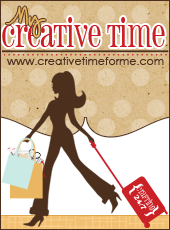 So head on over to the shop and pick your favorites. Leave them in the comments here with a way of getting a hold of you. Make sure to follow the teams Blogs and head on over to the My Life in Arts’ n Crafts’Facebook page. Here is your May laugh to help you get on your way. then what do May flowers bring? Thanks for doing the hop...I like the brown, cream, and purple. such a cute card! Love bears! Your card is so adorable! I like boyish, Girly and Christmas twine. 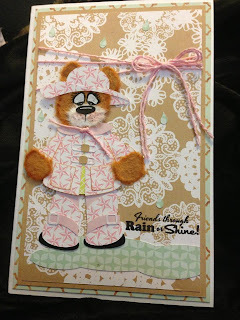 Very cute card-I've never done any of the tear bears but I love them. My fave twines are strawberry, denim and charcoal. The bear is precious! Your card, darling! As to which twine I like, I'm with Cindy. Hard to choose. I guess Denim, Cappuccino and Girly! Thanks for the blog candy and hosting a great hop! that bear is too cute!! thanks for the giveaway. very cute card Jessi! love the tear bears. I love all your twine, can't pick a favorite!! !